What is NASA’s action on all artificially made objects photographed by the mars rovers Curiosity, Opportunity and Spirit over the past years? Silence is all we hear. One cannot think that since NASA has been silent about these objects, that they cannot exist. 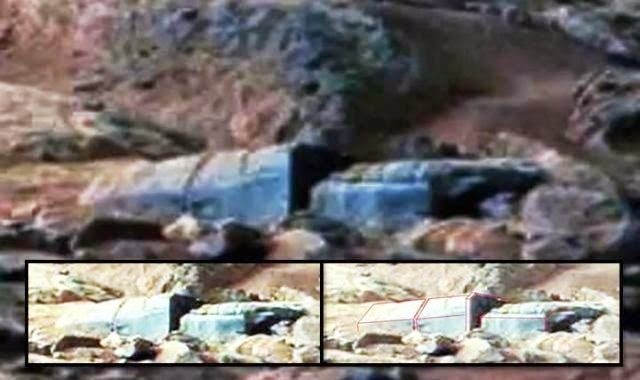 The location, as shown in the below videos, holds no scientific value to NASA, it is a rock shaped by wind and water over perhaps millions of years. Another good find. It would be nice to have an idea of the scale of the object though.